Background: Coming from the same set as the Axis Mundi, the Initiation is part of the Archetype line from Ventura Cigars. 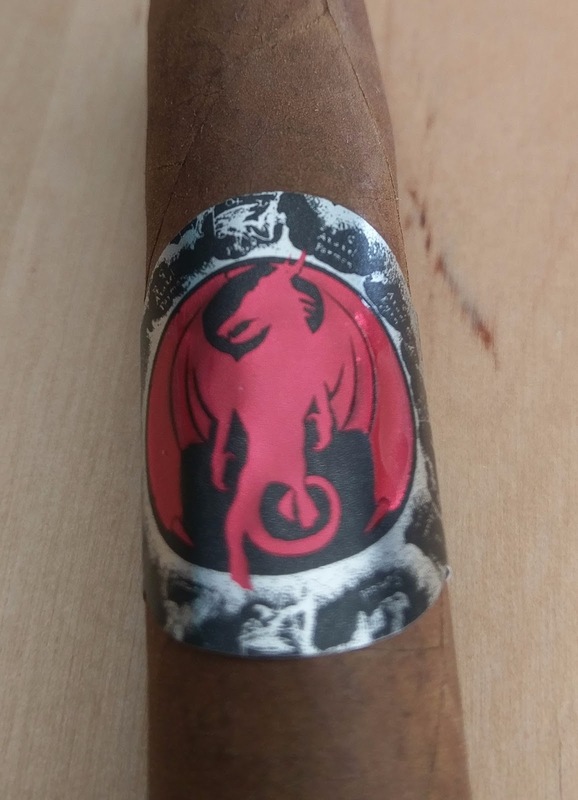 In conjunction with Drew Estate, they have put out a total of 5 cigars that are meant to walk through major archetypes from Joseph Cambell's work, The Hero with a Thousand Faces. 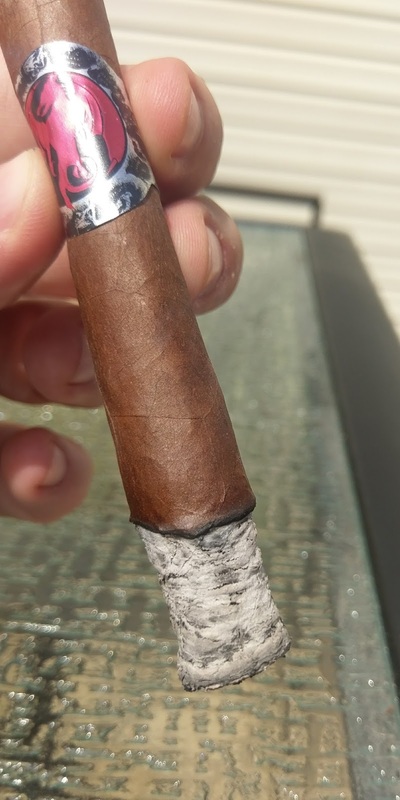 The popularity of these smokes has been so high that they pushed out a second iteration of both the Axis Mundi and Initiation, matching the original cigars. Appearance (0-20): Following the same mold as the other Archetype cigars, there is both an upper and a lower band. The upper band is a silver and black foil band with a blood red dragon/demon figure. 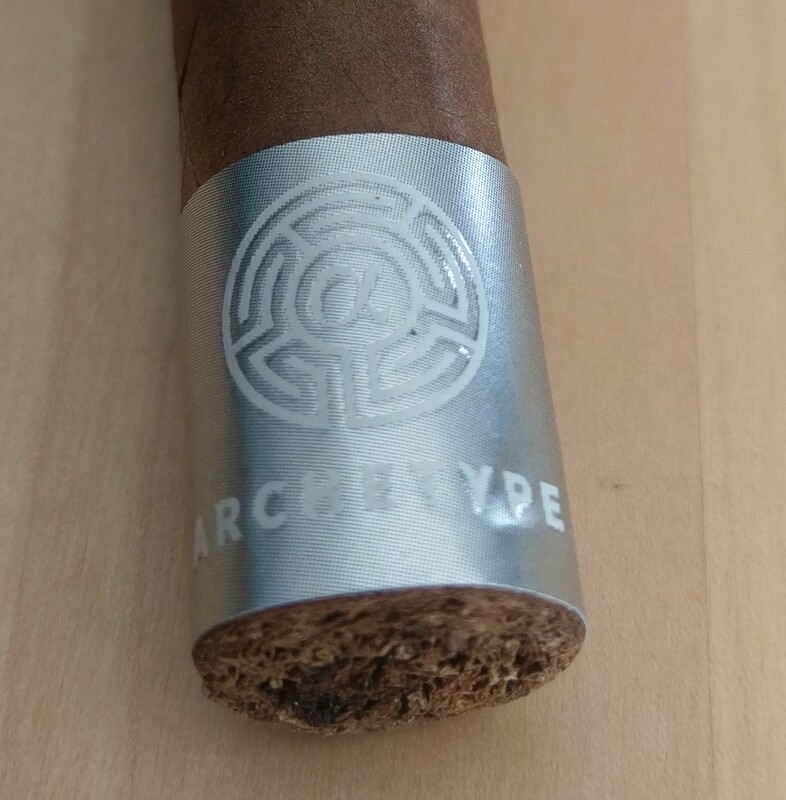 Again matching the other cigars from the Archetype lines, it has Archetype on the back along with the name of this one - Initiation. The foot band on this is silver, with the Archetype logo on it in white. There is a light habano wrapper to this with minimal small veins. 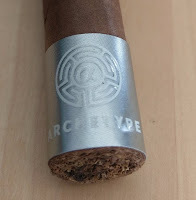 Construction (0-20): For a second time, the construction of the Archetype cigar line has impressed me. Much like the previous review on the Axis Mundi, its got some real weight to it for a corona. 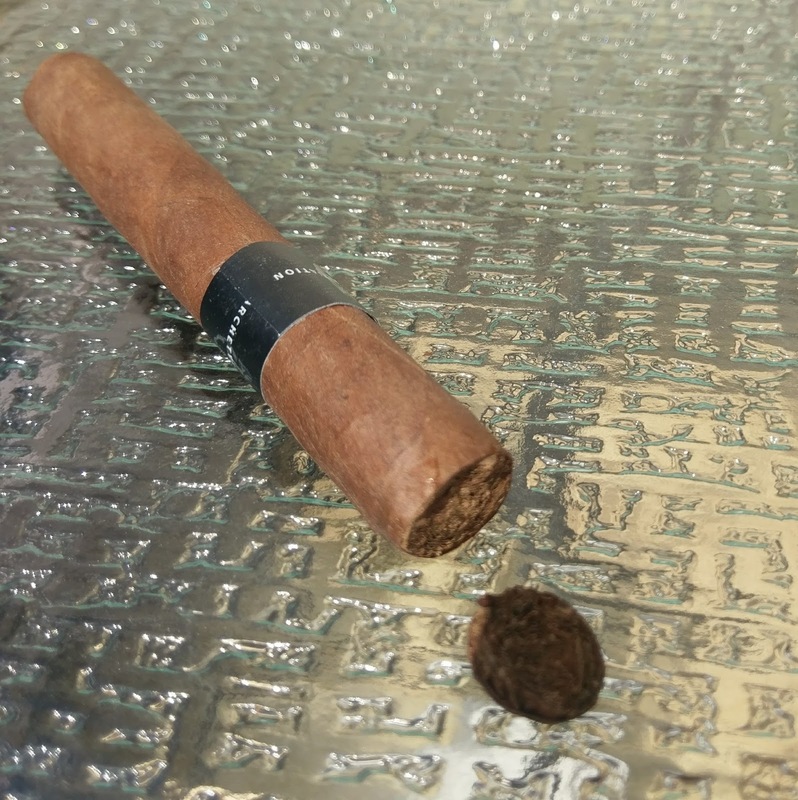 The wrapper is soft and silky to the touch, but the cigar is packed very well. The cut was completely clean - so much so that i snapped a shot to show there is literally no loose tobacco at all. The draw is nearly perfect with just the slightest amount of resistance to it. It loosened up just a bit during the smoke. Strength (0-20): Medium is where they are marketing this, and again the Archetype stays pretty true to how it is billed. 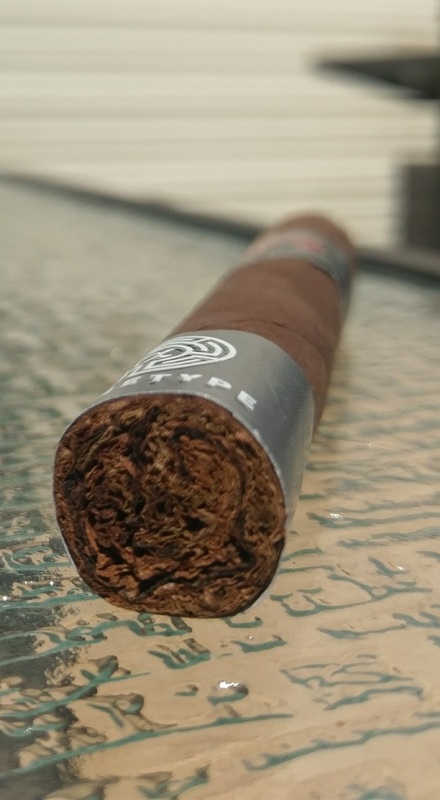 The beginning of the cigar is a little below the medium range, but builds throughout the cigar and ends up sitting in the heart of medium strength. Flavor (0-20): Complex. Complex complex complex. If you need me to say it a few more times I will, because this thing is layer on layer of flavors. The first puffs set the stage with a bit of wood and pepper. It isn't quite the normal pepper and seems to have a bit of a lasting quality on the tongue. There's also a small note of something herbal that I can't quite place. But the fun doesn't stop there. There's other flavors that tough on the palette in small droves - some sweetness, leather, and some cream. Some are more fleeting than others of course. At around the one third mark, I caught something that reminded me of a really good spiced rum. That is until I caught a bit of dark chocolate - bitter, but easily discernible. The pepper flavors ramp up a bit more in the second half of the cigar. However its somewhat short lived. The wood and sweetness continue to remain as mainstays, but there's something of a charred citrus that comes through. It reminds me a lot of a when you have a mixed drink at an upscale place, and they char a bit of orange peel before it gets mixed into the drink. Its sweet, smoky, slightly bitter, and absolutely citrus. The final notes have a bit of the pepper, but its just a subtle hint. Value (0-20): Again, I have a bit of an issue with the price topping over the $10 mark for this size of cigar. If it dropped to somewhere between $7-8, this would be a true value buy. Even at $9, it would still perform well... so a few points have to go here again. Overall (0-100): I am going to reiterate a few thing that I said in the Axis Mundi review. The construction and appearance are quite outstanding to the point where you can really tell they put some true care into making these sticks. The strength builds and sticks directly in the midpoint range, which is nearly exactly what you would expect. The other thing I will reiterate - I don't like the price for a corona. But again, it may be worth it for the complex experience that this cigar provides. If we are likening this to say, a band... this thing is an orchestra of flavors to the point where I know I missed a number of them in the 3 different run-throughs I had with these. It is absolutely worth a smoke, and in fact its worth quite a number of them.